We are a full stop shop. 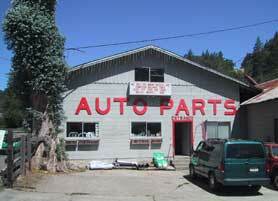 Whatever your automotive needs from auto repair to auto parts, we can help. We also carry a full range of home repair supplies. You will find concrete, gardening tools, plumbing materials, electrical supplies and much more. Best of all, the friendly help and advice is free. Special Offer: FREE mounting and balancing with purchase of tires.